HONDA SERVICE REPAIR HANDBOOK 750 CC FOURS 1969-1976 by CLYMER PUB. 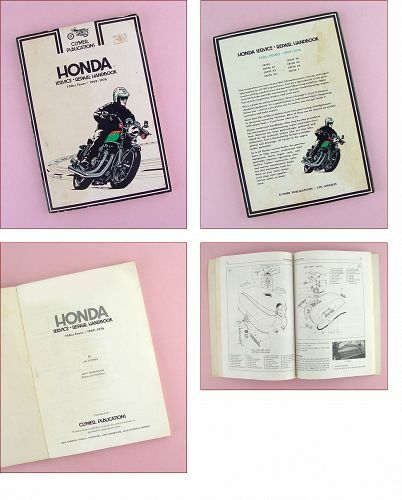 This listing is for a Clymer Publications Honda Service Repair Handbook 750 cc Fours, 1969 – 1976. General information from first page of book: "This book provides maintenance and repair information for the Honda CB750 series of 4-cylinder motorcycles. Specific models covered are the CB750, CB750 K1 through K6, and the CB750 F Super Sport." 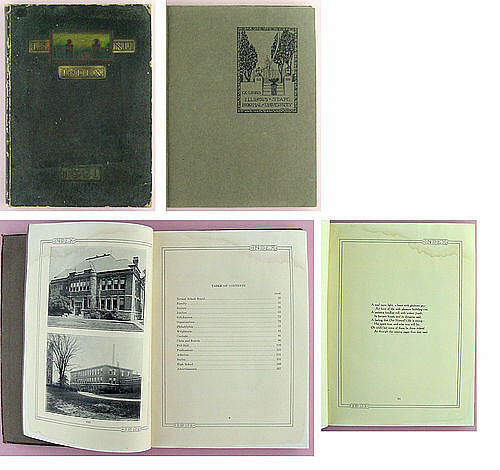 1921 NORMAL ILLINOIS STATE NORMAL UNIVERSITY YEARBOOK "The INDEX"
This is a neat item-- it's a 1921 yearbook "The Index" from Illinois State Normal University! Located in Normal, Illinois, this is now Illinois State University. Old yearbooks / annuals are excellent genealogy research materials. I am listing this as a used book but it actually appears to have never been used – at all! There is some wear/storage evidence on front and back covers but when you open the book, it is obvious the pages have never been viewed (I had to hold it open to obtain a photo of a sample page). 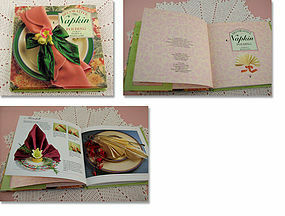 This is an excellent condition cookbook of Kentucky recipes! It has 63 pages and has recipes “from Benedictine Cheese Spread to Run for the Roses Pie, and everything in between”. Another super neat book by The Spool Cotton Company! This one is titled “Laces and Edgings”, has 23 pages, copyright date of 1943, and is a second edition. There are designs/instructions for crochet and knit edgings for hankies, towels, etc. This is a super book that is in wonderful condition! This book (22 pages) has designs/instructions for crochet and knitting edgings! It has a copyright date of 1945 by The Spool Cotton Company and this is the 7th edition of the book. There are designs for edgings for hankies, sheets, pillowcases, towels and more. Book is in excellent condition (there is some writing on top corner of one page). Super! 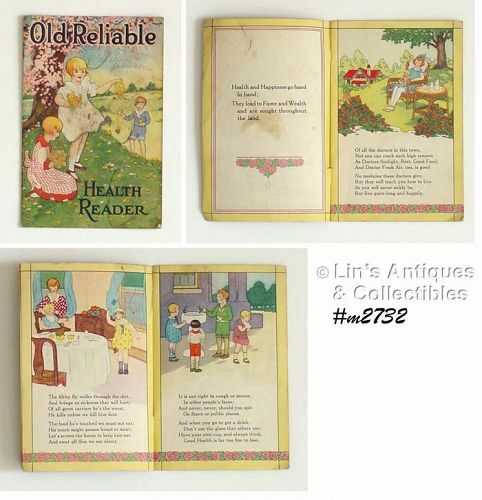 This listing has a neat tatting pattern book with copyright date of 1941! I have always admired the art of fine tatting but didn’t realize there were different designs – with names – I just thought tatting was tatting! Another very collectible and useful book! This one is “Tatting”, copyright 1939 by Spool Cotton Company. It’s a 3rd edition and has 23 pages. 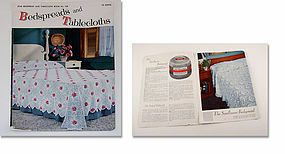 There are tatting patterns for towels, hankies, collars, an “exquisite baby cap”, and many others. Book is in good condition with a small spill stain (soda or coffee) on page edge (margin) – does not affect patterns/instructions in any way. 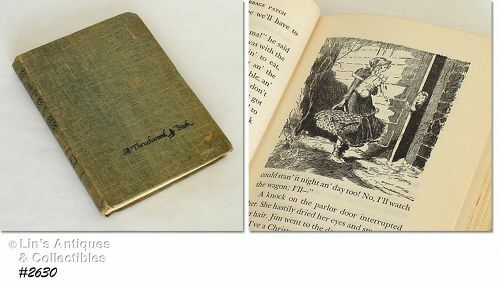 This is a super item that is not only very collectible but is very usable – it’s a handkerchief edgings book (15 pages) with a copyright date of 1949 and it’s a first edition! 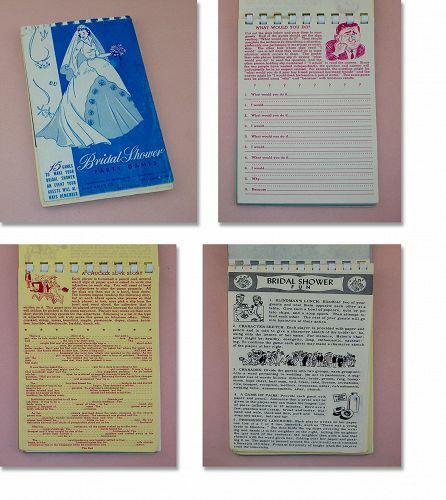 Some of the page headings are so cute – “Blow and Behold”, “Right on the Nose”, and (my favorite) “Will You be Mine?, Dainty edgings with come-hither ways”. Very good condition. Extra nice children’s book – “The Little Book of Colors” by Helen Dean Fish and Catharine Smith! It has copyright date of 1944, J.B. Lippincott Company, and is a First Edition. 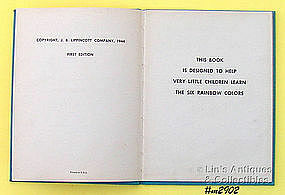 The first page states “THIS BOOK IS DESIGNED TO HELP VERY LITTLE CHILDREN LEARN THE SIX RAINBOW COLORS”. The only “use” evidence is some coloring on the pages that are supposed to be colored (things that are red, things that are green, etc). Neat book! I purchased this little booklet several years ago at an estate sale. It's an advertising booklet for Old Reliable Coffee and it has amusing and charming little verses on each page that extol the virtues of cleanliness for good health. There are 10 pages with verses, 2 pages “Coffee as it Grows” and the back page is about Old Reliable Coffee. Booklet is in very good condition with some storage/use evidence on cover. This is a neat collectible and advertising item! This listing has a 1950’s edition of “Mrs. Wiggs of the Cabbage Patch”! Book was written by Alice Hegan Rice, illustrated by Everett Shinn, and published by Grosset & Dunlap, New York. It is in very good condition with age yellowing of pages and prior owner wrote his name on cover page. 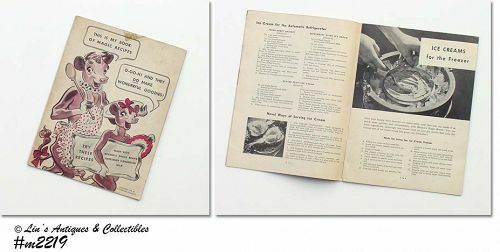 This is a super crossover collectible – “Elsie” the cow, Borden’s, and cookbooks! 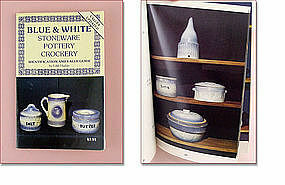 Book has lots of great recipes – there are 22 pages and cover shows “copyright 1942 by The Borden Company”. Book is in wonderful condition with some age yellowing and cover has a discolored (tape residue?) place at top as can be seen in photo.